Converting your large frame AR to shoot 6.5 Creedmoor is a simple barrel change. Whether replacing a .308 barrel or building a 6.5 Creedmoor AR from parts it is advisable to use a new bolt and of course verify proper headspace. Never use a bolt on different barrels. Many barrel manufacturers can provide a matching bolt. It’s important to note that 6.5 Creedmoor is a relative new comer on the AR scene. A good knowledge of firearm function is imperative. 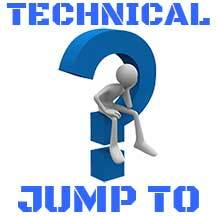 Some builds and upgrades might require tweaking of the gun to function consistently and accurately. We recommend using and adjustable gas block when possible. Criterion Hybrid contour match grade 6.5 Creedmoor AR barrels offer an ideal configuration for those seeking extreme accuracy without the added weight of a heavy barrel contour. Featuring a flatter trajectory and higher ballistic coefficient than the traditional .308 Winchester alternative, the 6.5 Creedmoor has grown in popularity with many long range shooters. Designed to be compatible with DPMS, Midwest Industries, Remington, and Fulton Armory pattern rifles, these 6.5 Creedmoor barrels can be directly swapped with factory .308 barrels. Button rifled and hand lapped to ensure consistent bore uniformity, Criterion 6.5 Creedmoor AR barrels incorporate a 5/8 x 24 muzzle thread and finished chamber. Headspace should be checked prior to installation by a qualified gunsmith. 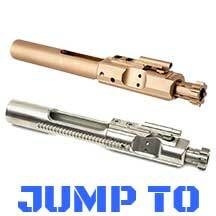 NOTE: The 18″ barrel utilizes a .750″ gas block while the 22″ utilizes a .875″ gas block (NOT included for either). 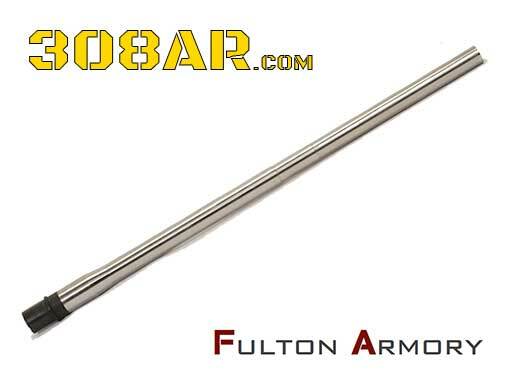 Fulton Armory 6.5 Creedmoor AR Barrel, 24"
Fulton Armory 6.5 Creedmoor AR Barrel, 24″, Bull, 1×8, Stainless, by Criterion Barrels. 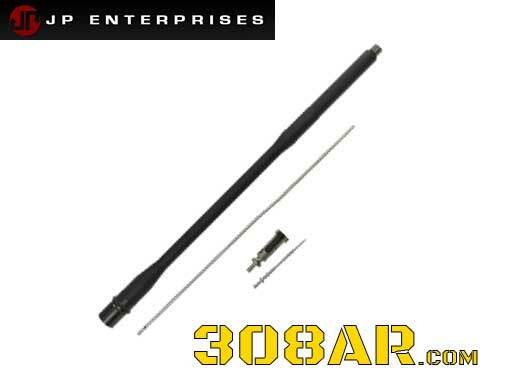 For use on DPMS/Remington/FA pattern .308 AR rifles with a rifle-length gas system, includes barrel extension. JP Rifles 6.5 Creedmoor AR Barrel 22"
Manufactured to our exacting specifications and used in all of our rifles, JP Supermatch™ barrels are turned from 416R stainless steel, lead lapped, air-gauged and cryogenically treated for cold bore shot predictability, minimum thermal drift, outstanding accuracy and extended barrel life. This barrel also includes a JP High Pressure Enhanced Bolt™ individually head-spaced to the barrel for flawless fit and function. Chamber: 6.5 Creedmoor, Length: 22″, Gas System: Extra long, Twist: 1:8 button rifled, Contour: .750 under hand guard/.875 in front of gas, Diameter at Gas Block: .936, Muzzle Threads: 5/8-24 TPI, Material: 416R Stainless. 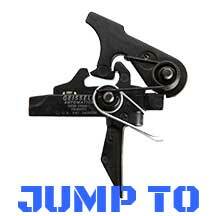 JP Rifles parts are designed to be used as a system and not stand alone to be mixed with other manufacturers parts. 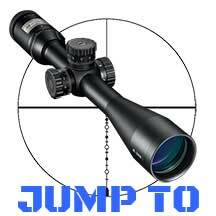 if you make the decision to go with the JP 6.5 Creedmoor barrel also use their recoil and gas system parts. You will be pleasantly rewarded with great accuracy and reliability. This 6.5 Creedmoor chambered (DPMS style) Ballistic Advantage barrels are machined from 416R Stainless Steel with a bead blasted finish. Our Premium Series 6.5 Creedmoor Barrels are proof fired and MPI tested, ensuring the best in quality and accuracy. 6.5 Creedmoor is the perfect option if you’re looking to maximize the accuracy of your .308 platform. Apart from a simple barrel swap, all parts, including the bolt and mag, remain the same as a normal .308 build. The inherently accurate 6.5mm projectile, the increasing amount of off-the-shelf match grade factory 6.5 Creedmoor ammunition, and the extremely soft recoil pulse all combine to create one of the best black rifle options available. 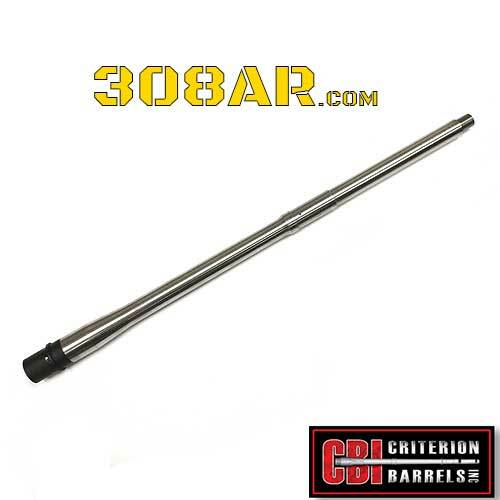 Christensen Arms 6.5 Creedmoor Carbon Fiber 308 AR Barrels are well regarded for making excellent carbon fiber wrapped barrels. In the 6.5 Creedmoor chambering the AR .308 barrels are available in 16″ and 20″ lengths with mid-length gas systems. Designed using precision engineering adopted from the aerospace industry, Christensen Arms 6.5 Creedmoor Carbon Fiber 308 AR Barrels are crafted using a proprietary layered design that offers any marksman superior accuracy and performance. The barrel lining is made from match-grade 416R stainless steel and is measured to a tolerance of +/- .0001. When it comes to accuracy, Christensen Arms carbon-fiber barrels have performance you can trust. Includes gas block and gas tube. Add Proof Research to the list of 308AR barrel and rifle manufacturers to implement a non standard gas length on their 6.5 creedmoor barrels. Some companies refer to this new length as +2 (plus 2 inches). Proof Research designates their new gas length as “CAMGAS”. Moving the gas ports 2 inches closer to the muzzle adds a bit of dwell to the pressure curve. Basically it tames the action resulting smoother cycling and function. Check availability. Proof research recommends the JP high pressure bolt. JP uses the high pressure bolt in their +2 rifles. Obviously a +2 gas tube is also required. The PROOF Research AR 308 PR-10 barrel provides owners of AR-10-pattern rifles with a 6.5 Creedmoor-chambered rifle that includes a number of enhanced features over traditional barrel styles. These long range specific barrels provide the ultimate in accuracy and will maintain their performance in the harshest of conditions. The PROOF Research AR 308 PR-10 barrel uses the company’s innovative CamGas system, which works to reduce the speed of the bolt carrier and improve overall function and reliability of 6.5 Creedmoor semi-auto rifles. The PROOF Research AR 308 PR-10 barrel is cut rifled from double stressed relived 416R stainless steel and features a threaded muzzle with a 5/8×24 TPI thread pitch for the addition of muzzle accessories. With the release of its new patent-pending Caliber Matched Gas System (CAMGAS) barrels, PROOF Research has eliminated the issues traditionally associated with building 6.5mm and .260 rifles on 308 AR AR-10 platforms. Until now, AR-variant shooters looking for ballistic advantages from either of these calibers were faced with excessive bore pressures that necessitated makeshift solutions such as clipping buffer springs, adjusting buffer weights, and/or relying on adjustable gas blocks, to keep their rifles functioning properly. In recent years, 6.5mm Creedmoor and .260 Remington have become increasingly popular in long-range shooting competitions. The .260 in particular represents an outstanding caliber for a military counter-sniper role—out to roughly 1,000 meters—in smaller- to mid-sized weapon systems. It offers exceptional accuracy and superior ballistics over the ubiquitous .308 while dishing out substantially less recoil and enough energy to make it a legitimate contender for military and law enforcement applications. PROOF Research currently offers Caliber Matched Gas System barrels chambered for 6.5mm Creedmoor and .260 Remington in three separate lengths: 20, 22, and 24 inches. Every CAMGAS barrel comes standard with an easy to install custom-length gas tube. We are offering an AR type barrel chambered for the 6.5 Creedmoor cartridges. These are available in four styles and all are completely finished drop-in type barrels. They are finish-chambered and have a DPMS-style barrel extension installed and the gas port hole drilled for a rifle-length gas system. They also are threaded 5/8″ – 24 at the muzzle. These barrels are not compatible with the Armalite or Rock River Arms rifles. 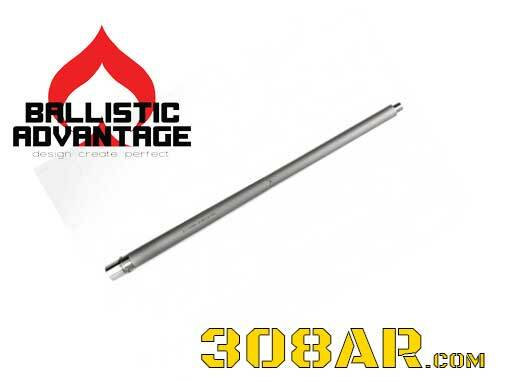 All versions of this stainless steel AR-type barrel are chambered with a PTG semi-auto match reamer. These barrels are rifled with our 8″ twist 3-groove. These barrels are also hand-lapped to our internal finish standards. The section forward of the gas block section is engraved: “Lilja AR 6.5 Creedmoor” The barrel extensions are a DPMS type and these barrels will headspace properly with DPMS type bolts. The gas block and gas port holes are positioned for standard rifle length gas tubes. The overall length is 24″. Gas block size is .936″. The diameter in front of the barrel extension is 1.200, then .975″ diameter to the gas block and then .875″ diameter from the gas block to the muzzle. The unfluted barrel is 4.25 pounds and the fluted version is 3.90 pounds. Muzzle threads are 5/8″ – 24. 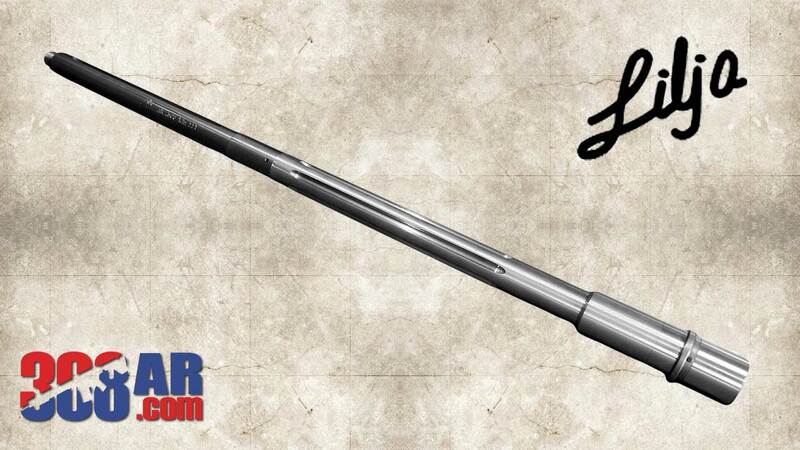 The shorter barrel in the image is our AR10740 contour, very similar to our .223 AR740 contour in our .223 barrels. Gas block size is .750″. 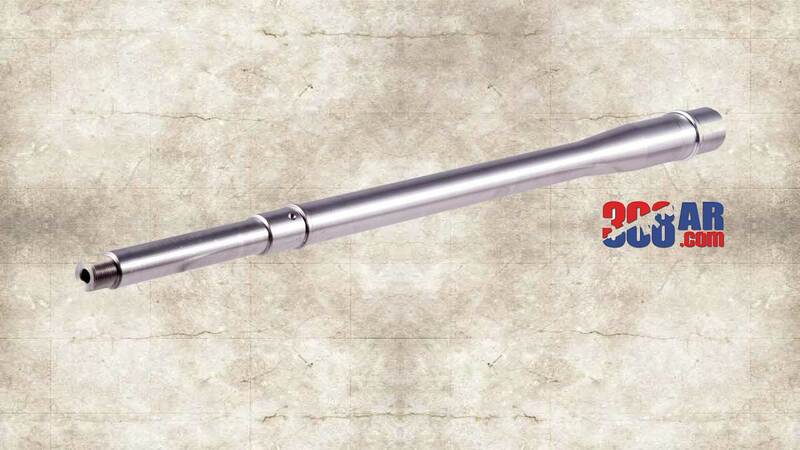 The diameter in front of the barrel extension is 1.200″ and then the profile drops down to .750″ and then up to a shoulder for the .750″ diameter gas block section and then down to .740″ to the muzzle. Muzzle threads are 5/8 – 24. Weight is 2.5 pounds, and the unfluted is 2.7 pounds.